At some point, the car sales industry seems to have lost its way. Most dealerships try to attract customers and then overwhelm them by using flashy signs, bewildering sales lingo and complicated negotiations. Bucking the trend, Walser Auto Campus | Wichita draws in customers new and old the natural way: with top-quality automobiles, a sales experience focused squarely on the customer’s needs and a tailored luxury experience. At our Kansas car dealerships, we threw out the negotiation nonsense to provide our customers with what they wanted in the first place — a simple, quick and stress-free shopping experience. At our campus, there are absolutely no negotiations. There is no aggressive haggling required to buy vehicles at the price they should have been at the beginning. Our sales people don’t bully you into paying more or distract you with complicated sales processes. 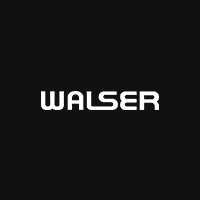 At our Walser Auto Campus dealerships, every vehicle we sell is marked with the Walser Upfront Price, meaning the lowest price we can offer. We can do that because none of our sales team members are paid on commission or excessively stressed by “The Bottom Line.” That means they can focus on assisting you and selling you the car you love at the price you expect. With 11 different dealerships in one location and 1000’s of luxury choices we’re confident we can help you find the “right” vehicle. We’re happy to buy cars from you as well, so you can bet we sell models from every automaker you would expect. Browse our inventory either in person or through our website to start your search. We look forward to serving you!